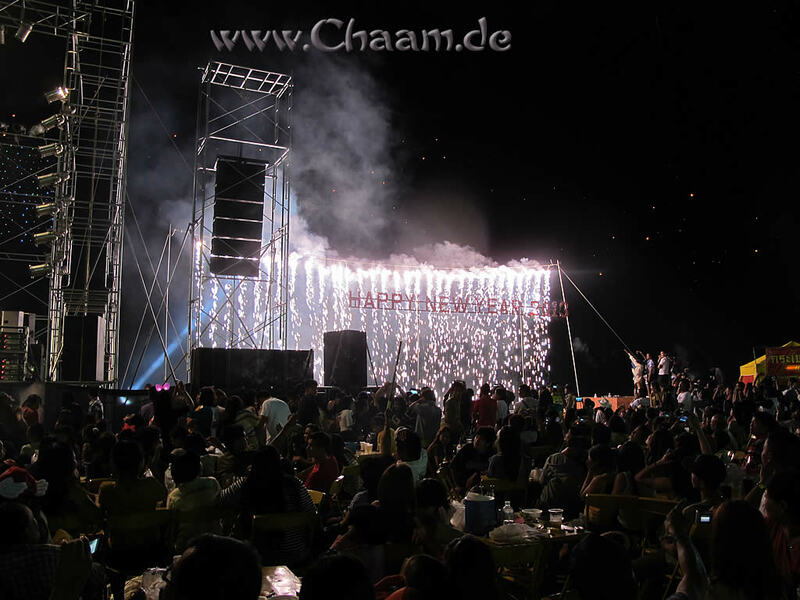 Enjoy the small photo gallery of the most beautiful pictures of the festival. To see an image in a larger format, just click on the picture! 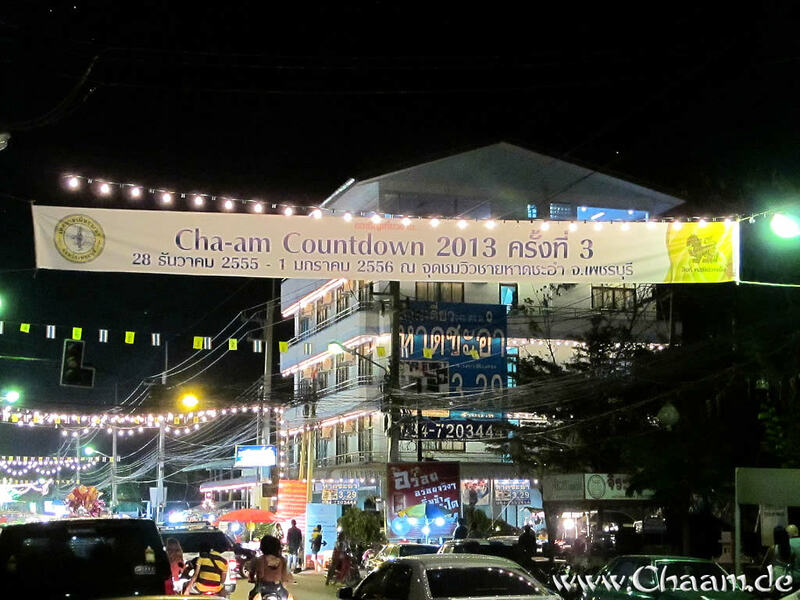 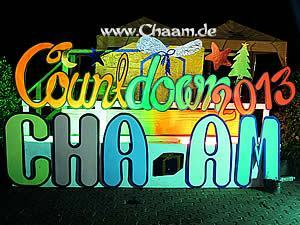 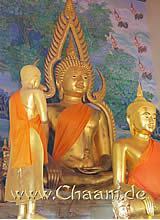 The countdown is running in Cha-am...Only a little while to 2013! 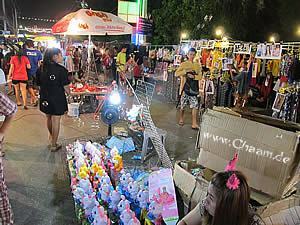 At the end of the Narathip Road was a night market. 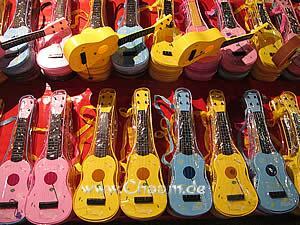 At the market were many stands with 1000 multicolored things that you'd not really need, lots of goodies and Food stalls. Bright colors, everywhere you look. 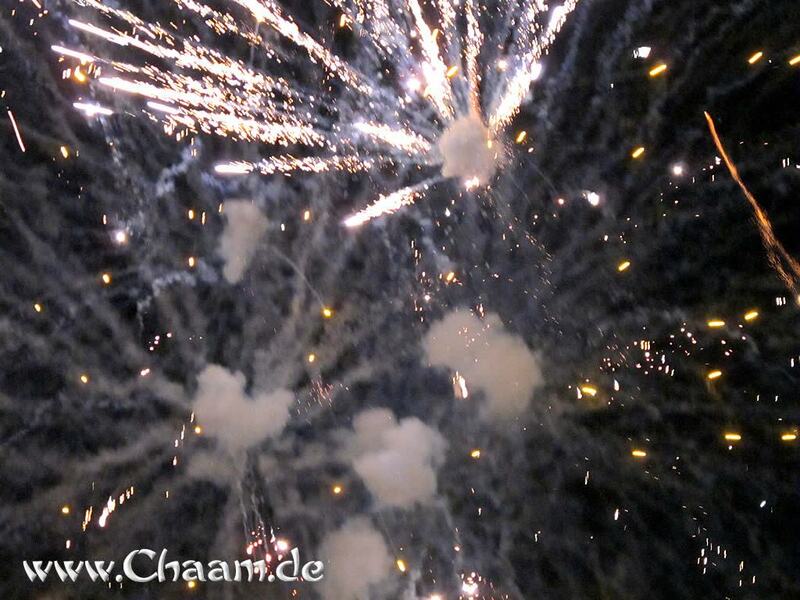 For some it is cheesy, for others beautiful. 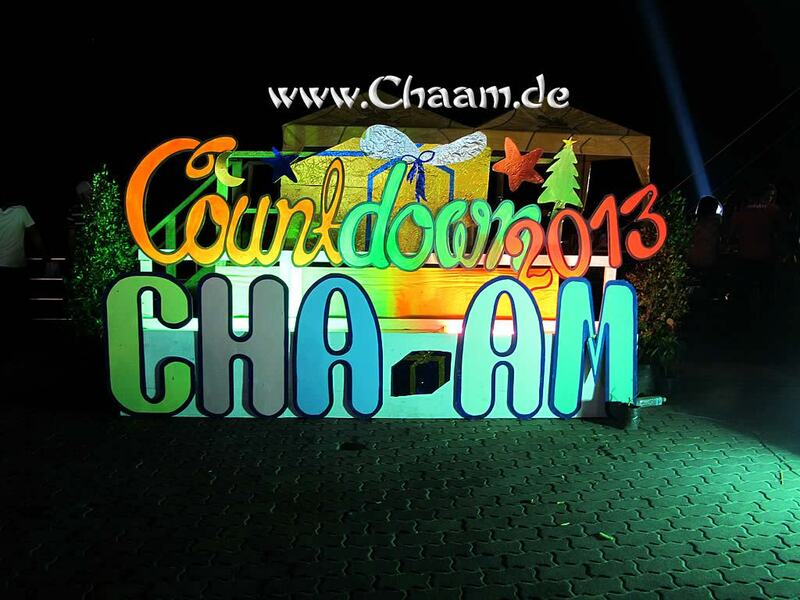 The town of Cha-Am definitely made a big effort and the show was outstanding! 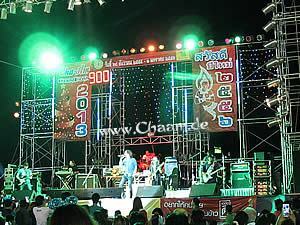 On the big stage a famous Thai rock band played. 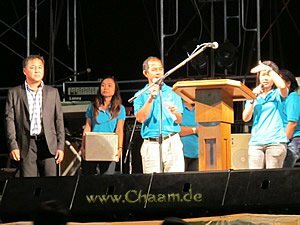 Very melodic, but all the songs were in Thai language, so as a foreigner it was hard to understand. 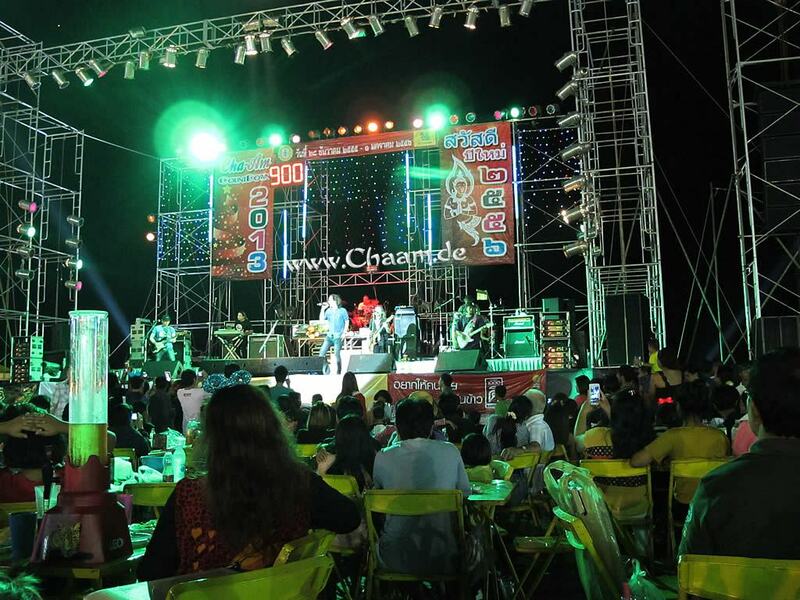 Next to the stage lots of stalls were set up, where you could buy treats and drinks. 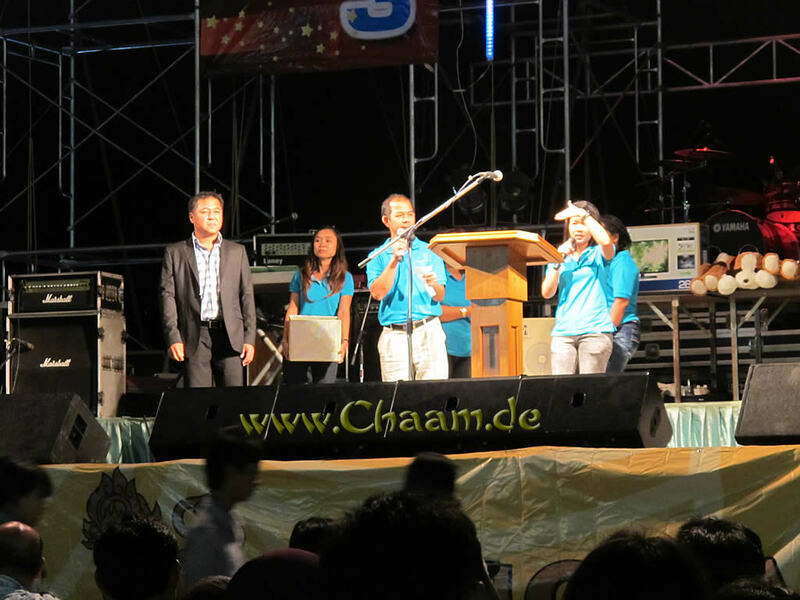 During the break the mayor of Cha-Am (on the picture above right, the gentleman on the left) made a speech. 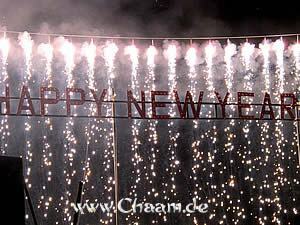 In his traditional New Year speech he wished all celebrants luck and best wishes for 2556! 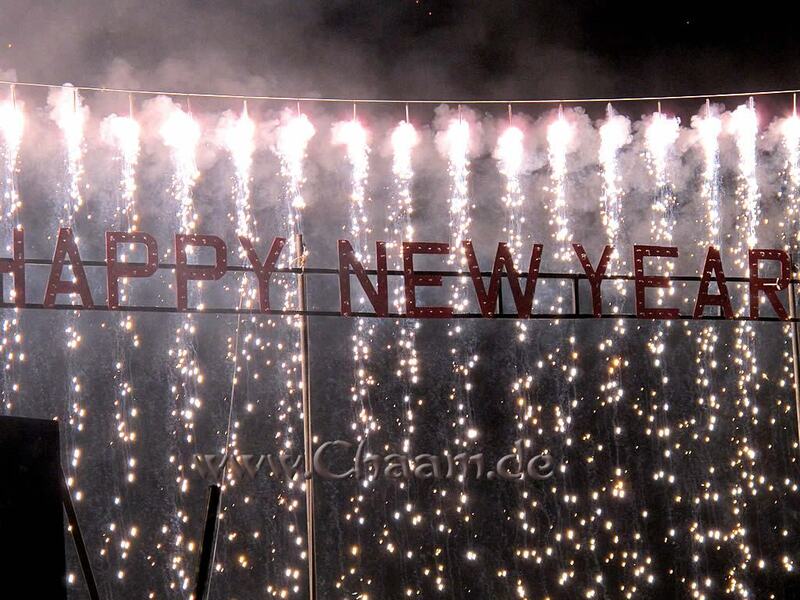 And the year welcomed with lots of rockets, firecrackers and glittering rain!